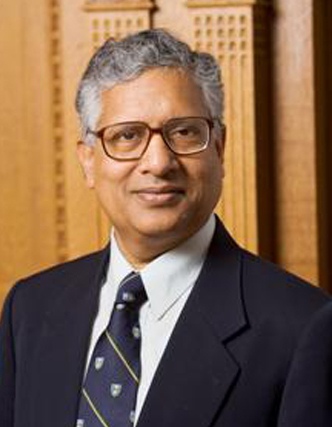 Shyam Sunder, James L Frank Professor of Accounting, Economics, and Finance, Yale School of Management, talks to Tarun Jain, Assistant Professor of Economics and Public Policy at the Indian School of Business (ISB), about accounting standards, experimental economics and education. 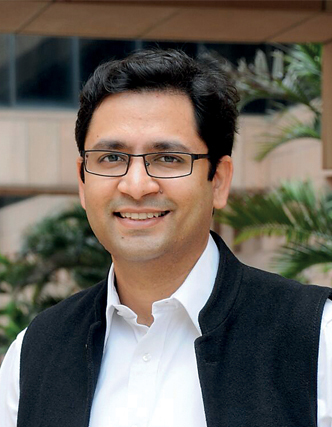 Tarun Jain: In your research you have emphasised that companies should be allowed limited choice of which financial reporting standards to use, be it the International Financial Reporting Standards (IFRS) or the US Generally Accepted Accounting Principles (GAAP), because neither business environment nor social norms are uniform. What does this mean for India which has a very diverse set of social and business norms that are rapidly changing? Shyam Sunder: A single set of standards and the authority to write that set being given to a single regulatory body runs the risk of getting stuck with a bad standard. Such a system affords little opportunity for improvement through trial and error, comparison and experience. Before we enforce a single set of standards everywhere, we should be sure that it is the best standard. It is like making a single model of car or computer the worldwide standard with no variation permitted. The consequence can be no further evolution – no improvement in cars, computers, or accounting in our case. From past experience we know that our ability to devise efficient standards in the first place is limited at best. In fact, there are diverse perspectives on what attributes a good or efficient standard should and should not have. Additionally, we are living in an environment where written accounting standards induce businessmen to change their transactions and instruments to minimise taxes or to improve the appearance of their financial reports to suit their own goals. Our choice is not between the extremes of total standardisation at one end and no standards whatsoever (leaving everything to the market) at the other. We have to find a balance. For a developing economy like India, that balance could be shifted slightly to favour greater standardisation. We cannot rely entirely on a single set of standards, or for that matter, entirely on any written standards. We need a balance between written standards and forces of market competition on one hand, and a balance between standardisation and social norms on the other. The moral code of society, business community and accountants also plays an important role in determining what kind of financial reporting is and is not acceptable. Social norms are important to the extent that businessmen and accountants feel constrained by the social sanctions of their community that they belong to. But financial reporting cannot be left entirely to regulators and legal enforcement. Years of experience teaches us that law and formal regulation are not capable of ensuring acceptable behaviour in the absence of social norms. Before we enforce a single set of [fi nancial reporting] standards everywhere, we should be sure that it is the best standard. Greater competition ought to improve quality and lower prices. But you have challenged this principle when it comes to provision of audit services. Yes, because the quality of audits is not observable to the customer of this service. Shareholders pay for the audits to protect their interests. They are the customers. When we promote competition in auditing, a service whose quality cannot be assessed by the customer, both the quality and the price of the service decline. This is a well-known economic phenomenon called the “market for lemons” after the Nobel Prize-winning research of George Ackerlof. The garden of higher education in India has been left untended for over 50 years. Attracting the best minds of each generation to teaching is India’s challenge. Lower competition in the market for audit services might also lead to higher audit fees. Aren’t those costs borne by shareholders? Yes, they are. When increasing competition in this market is likely to lower both the prices as well as the quality of audit service, we need to make a difficult judgment – about the point on the scale of competition at which the damage from lower quality exceeds the advantage of lower prices from the point of view of small shareholders. In the 1970s, the US Government was convinced of shareholder gains from lower audit fees, and promoted competition in the audit industry. They did not recognise or anticipate the audit quality consequences of the “market for lemons” phenomenon, leading to major audit failures in recent decades. What does optimal organisation of the audit industry look like to you? To address basic agency problems? Auditing faces two agency problems. One is the external problem of aligning the auditors’ work and perspective with the interests of their real customers – the small shareholders – instead of their paymasters – the managers and directors of publicly-held firms. Repeated audit and accounting scandals in various parts of the world suggest that exclusive emphasis on legal and regulatory approaches to address this problem has neither worked in the past, nor is likely to work in the future. We need to include a role for moral and social norms to have any hope of improvement. The second agency problem is internal to audit firms. Consider an audit partner handling an accounting in Hyderabad, with her audit partners working in Mumbai, Delhi and Chennai. The Hyderabad partner gets a large share of her income from the Hyderabad client’s fees, but a large part of the risk associated with this client is borne by her partners who have little knowledge or control over the decisions she makes. Consequently, each partner of the audit firm has incentives to free-ride on the reputation of her partners, and put them at risk through her actions. The larger audit firms grow, the more difficult this internal agency problem becomes. This problem can be controlled by limiting the size of the audit firm, but such limits also prevent the firm from exploiting other economies of scale. So should shareholders hire auditors directly instead of letting managers hire them? A large diffuse body of shareholders has no practical feasible mechanism for making such decisions. Neither do they have the information nor expertise. Managers and directors are hired to address this problem, but it is difficult to make sure that the hired hands use their access to information and other resources for the good of their principals, and not for their own selves. A public company can raise large amounts of capital with little risk from a large number of investors. How do the investors get their share of wealth from people entrusted with management? This is an age-old problem of governance. The British East India Company, the greatest corporation in history, struggled with the problem for 258 years and never found a good solution. We are still trying. Moving on to accounting education, do static and heavily codified accounting standards have a perverse impact on the kinds of people who choose to become accounting students in the first place? Any remedy on how to get better accounting students and better auditors? It is nothing new that accountants have a poor public image. Is that true in India? My perception is that accountants are highly respected, but there is this notion that accounting work is boring. I think the source of that image is the way we teach accounting. In other subjects, we start by telling students the nature of the problems that need to addressed before teaching them how to address them. Accounting solves a very important problem in society: How to organise efficient production, distribution and allocation of resources, and efficient creation and operation of organisations and markets, in government and the private sector. But students are rarely told about the problem to be solved. Accounting instruction starts by teaching them the solutions –the ledgers, journals, balance sheets, debits, credits, income statements, etc. We give them solutions to problems we don’t tell them about. It is not surprising they get bored. You have written and spoken quite a bit on the Indian education system. I want to ask you about the policy-maker’s dilemma that in India, we have 22 million young people who seek education per year. Policymakers face an essential trade-off between access and quality. How would you address this? Here the problem is talent and money. The garden of higher education in India has been left untended for over 50 years. When I have the opportunity to speak at Indian universities, I ask the students: Who would you like to be taught by – people as smart as you or people who are less smart than you? The students giggle, smile, and someone gives the polite answer: By people smarter than us. The inevitable next question is: How many people in this room full of talent plan to go into teaching? Rarely does a hand go up. It is a huge problem in India. No Indian university stands among the top 100 in the world. There is a widespread notion in India that quality higher education can be delivered at a profit. How many of the businessmen setting up these shops will send their children to schools which make profit? Yale is a private university. Only about 16 percent of my university’s revenue comes from student fees. In India, people in the teaching business seem to earn more than 100 percent of their expenses from student fees. When we promote competition in auditing, a service whose quality cannot be assessed by the customer, both the quality and the price of the service decline. I suspect the source of this impression in India may be the conception of the essence of higher education being the bricks and mortar, and not the brains. Contrast this with the Vishwa Bharathi concept of higher education where one could sit under a tree and still learn and think of great thoughts. Attracting the best minds of each generation to teaching and scholarship is India’s challenge. I am glad to see that the current government is beginning to pay some attention to this issue.